As a woman in her late 40’s, I was struggling with belly fat that just would not budge. I had always been in good shape and lead an active lifestyle. Unfortunately, pregnancy and a job that involved a lot of sitting behind the desk had taken its toll, as had my love of pasta and bread. My New Year’s resolution was to win the battle of the bulge! I was off to a strong start with a great diet and exercise program. With determination and hard work (Pure Barre and daily running), I was able to get down to my target weight for the first time in a decade. Even at this lower weight and with all the work to tone my body I still had that lower belly fat that refused to budge. 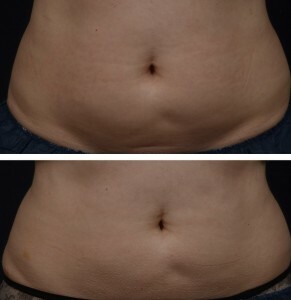 When a co-worker told me about Coolsculpting®, the new “fat freezing” treatment I jumped at it. I scheduled an appointment for my Coolsculpting® assessment and after meeting Dr. Atkin and her staff decided to move forward. My Coolsculpting treatment was 3 days later. The treatment for my lower belly took about an hour. The staff had recommended ahead of time that I bring a book or my ipad to entertain myself during treatment. I ended up napping for most of it. I was suprised how fast and easy the treatment was. I was even back at Pure Barre the next day. The only tell tale sign I had was a small bruise where the applicator was placed, but that only lasted about 3 days. I also had a little bit of cramping the first week and the area felt somewhat numb to the touch for about 2 weeks after the treatment. Two months after my CoolSculpting® treatment I began to see changes in my shape. At three months I saw the full result in my lower belly area. The bulge had some how flattened out and my jeans started to bag instead of pull! It was a happy experience to go shopping for jeans in a smaller size. Since my first treatment I have been back to see Kaci (the physician assistant) to have treatment on my bra fat and have also referred a number of friends. I even gifted a treatment to my sister for her birthday, since we share the same belly issue (Happy Birthday Sis!). 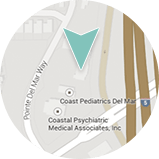 Dermatology & Laser of Del mar is a CoolSculpting® certified practice. 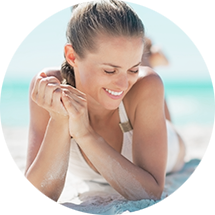 Kaci Orosco, PA-C has performed hundreds of CoolSculpting® treatments under the supervision of Deborah H. Atkin, MD.